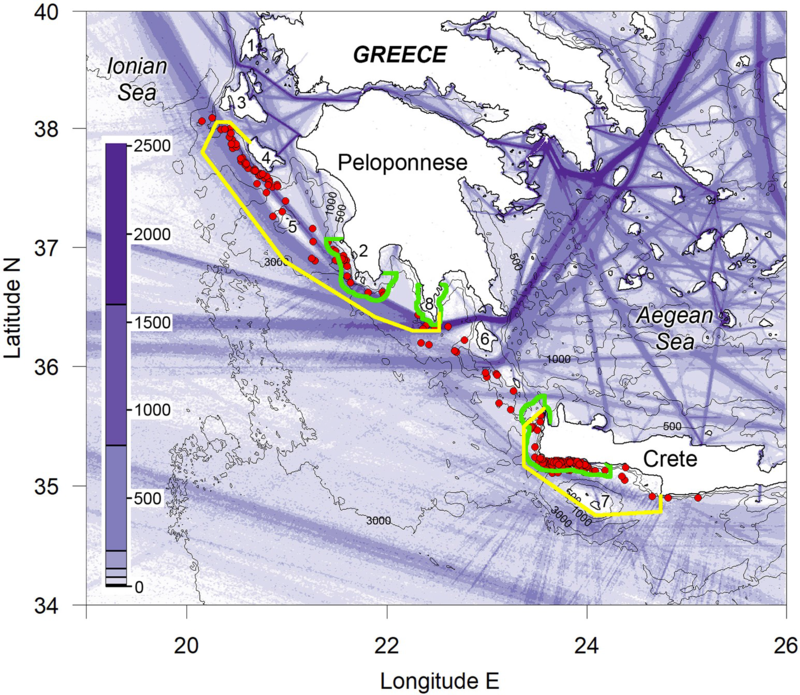 m depth contour along the Hellenic Trench are causing an unsustainable number of shipstrikes. major routes and only around 5 nautical miles for the majority of ships. any oil spills reaching the coasts, which are also important touristic destinations in Greece.